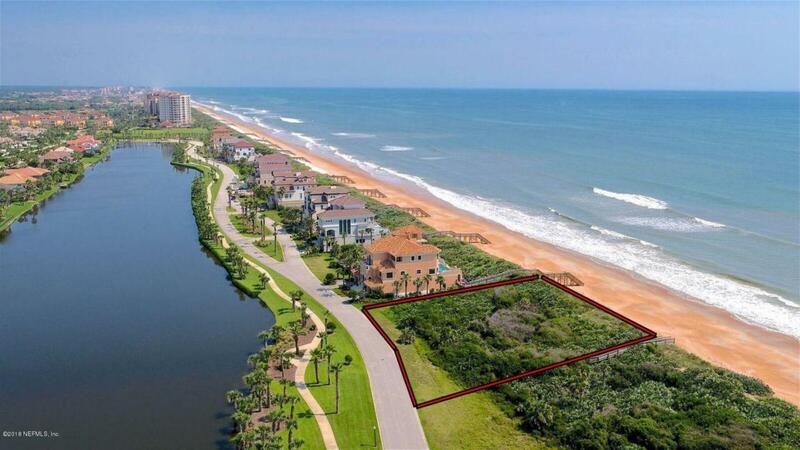 Extraordinary double lot with 200 feet of direct oceanfront within Playa Del Sur, the oceanfront gated community of Hammock Dunes. Enjoy beautiful sunrises over the Atlantic and sunsets over Lake San Gabriel. This is the perfect location to build your estate and enjoy the best of the Florida lifestyle. The community offers two golf courses, full-service golf pro shop, oceanfront clubhouse, fitness center, Har-Tru tennis courts, pickleball, croquet and more. The Hammock Dunes Club is currently going through an extensive expansion and renovation including a new fitness center adjacent to the pool and upgrades throughout the entire club. No mandated time frame to build and seller financing is available for qualified buyers.